Thrifting is the new craze! Society has been more money conscious sense the mortgage boom ended. People are spending money wisely, which has led to the resale thrifting craze. Yesterday me and my mom were enroute from a rural Towne and back to the main city and saw all these second hand shops. I never thought that they would have anything that I would like and want. Boy was I wrong! My basket ran over. 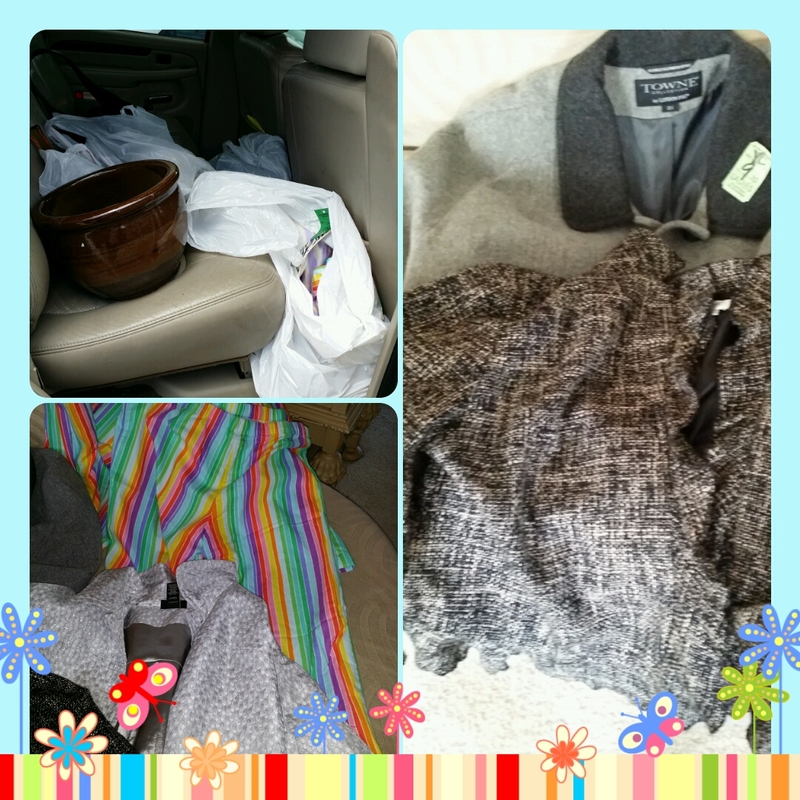 From house ware, to winter coats to Victoria secret pajamas those thrift stores had more than I’d ever imagined. I wondered why I had to park back so far. I’m a frequent 2nd hand shopper but now I think it’s going to be my primary shopping method. Why spend $200.00 when I can spend $100.00? Oh it was senior day and I used my mom to purchase. I will keep you posted on our next thrift shop haul. Here are a few of our items:) happy saving! This entry was posted in Financial and tagged age, clothes, financial, shopping, thrifting, transformation. Bookmark the permalink.